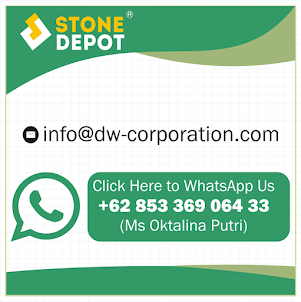 How to install green sukabumi stone supplier contact whatsapp +62 853 369 06433 (Ms Putri). Above video show you how to installed green sukabumi stone. Green sukabumi stone is famous natural stone for swimming pool tiles. With the increasing number of building properties that are equipped with a swimming pool is gorgeous that uses tiles green stone, a lot of people interested to know about how to install Green Sukabumi Stone for swimming pool tiles including construction workers who often get the order to install the tiles green stone in several property projects. The use of green stone tile is an advanced quite popular in recent times, especially for application at the pool. The swimming pool that uses a green stone tiles from Sukabumi look more natural, luxurious, and fresh. Some people who are interested to apply the remedy as a green sukabumi stone tiles on the pool might prefer to call a professional repairman to install the tiles they want. However, not a few people who feel curious about how the installation of natural stone such as tiles. When you ask about how to install Green Sukabumi for swimming pool tiles, you should also not forget to ask what needs to be prepared in the installation process. 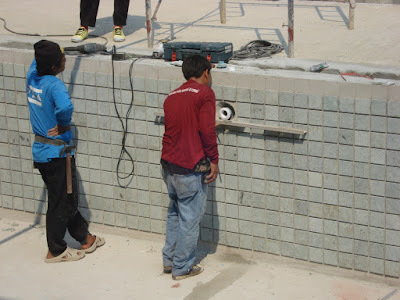 Here are some of the needs and equipment to be used for a pair of Sukabumi as natural stone tiles in the pool. First, you need green Sukabumi stone tiles in a choice of sizes. To make the floor or walls of the pool, you need some kind of tile size. This is in addition to making the installation process becomes easier also to give the appearance and colours are more attractive. there are several types of stone tiles available sizes as 10x10, 15x15, 20x10, or otherwise. In addition, you also need a mortar. To install stone tile, you need a mortar which is a mixture of cement, water, and sand. Mortar is used as a binder and filler in a construction block. Besides both these materials, you also need some equipment to pair the tiles such as gloves, eye circular diamond saws, thin set, grout, and grout sponge, earplugs, dust masks, trowel, goggles, and floor levelling compound. How to install Green Sukabumi for swimming pool tiles can be explained in the following description. The first is a preparatory step which you should ensure that the sub-floor has to be installed in a clean condition and free of chemicals, oil, or paint. The base or substrate should also be ascertained in a strong condition and no defects. This is to prevent the leakage of water in the pond. You can adjust the altitude using strings. The next step that needs to be done in how to install Green Sukabumi for swimming pool tiles is the preparation of materials for mortar. To get good mortar, you should pay attention to dose for each ingredient ranging cement, sand, and water used. In addition, you should also pay attention to the process of stirring or mixing materials. The stirring process can be done with the equipment manually or by using a cement mixer until the mixture is smooth and gain as needed. Next is the installation of a green stone tiles. How to install tiles green stone is actually not much different from the installation of ceramic tile or other stone that is by spreading a thin layer of adhesive on the base layer by setting the right thickness. Then, you can start gluing the tiles by following the thread that has been installed to ensure that the tiles attached with straight and neat. In this process, you should be able to ensure that the tiles have been affixed to the adhesive mixture is not exposed to water and protected from exposure to strong sunlight at least within 12 hours after installation. If you understand the steps on how to install Green Sukabumi for swimming pool tiles, you can try at home to get a view of the pool is beautiful and unique.